Our sources of monetary income come from individuals, businesses, organizations, and foundations primarily in the local area. 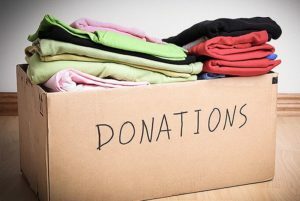 We are also supported by donations of clothes, food, gifts, and services. ❊ Provided groceries for an average of 116 individuals per month. We welcome you to read our 2018 Annual Report to learn more! Please consider joining us in our work of People Helping People. Every donated hour, every donated dollar makes a positive difference for your friends and neighbors who need a helping hand. Rest assured, we will use your donation wisely. You can mail your donation to Philomath Community Services at: PO Box 1334 Philomath OR 97370.